Shane Elliott with his Patz Vertical Mixer. Shane and Jane Elliott, own Elliott Agriculture Pty. Ltd., a breeding/backgrounding/finishing trade cattle operation in Australia. The Elliotts run a predominately Angus-based herd, including 300-400 breeders and additional store cattle purchased for backgrounding/finishing. In total, they are running up to 1,000 adult equivalents (AE). Built with the latest design principles in mind, the Elliotts’ registered feedyard, which can hold approximately 700 trade cattle at a time, focuses on efficiency and animal welfare. Their unique feedlot design offers the flexibility to free range the cattle and/or to feed a balanced ration in bunks. 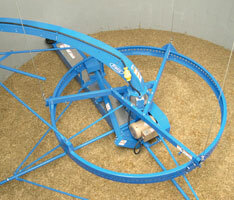 Prior to purchasing a new feed mixer for their operation, the Elliotts trialed and inspected ten different mixers, including all of the major brands available in Australia. 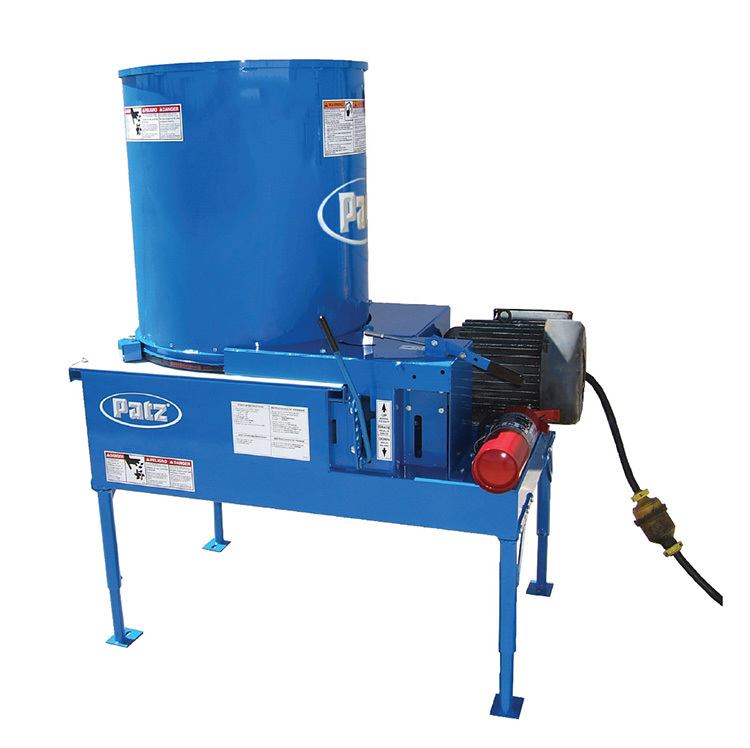 Of the ten mixer brands tested, one stood out as a clear winner – the Patz 1200 Series Trailer Single Screw Mixer. 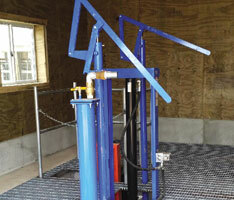 “For our particular requirements, the Patz 1200 Series Mixer is unparalleled in several regards,” said Shane. 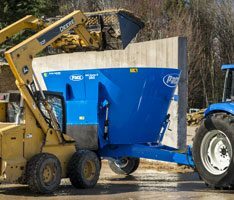 The Elliotts loved the short mixing time the Patz 1200 Series Vertical Mixer offered, along with its ability to effectively process batches of all sizes, including those that incorporate large bales. 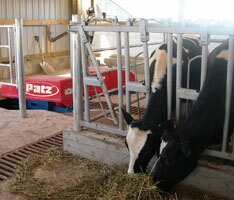 The Elliotts also appreciated the simplicity of the Patz mixer – easy to operate and little maintenance required. “This mixer is in a league of its own when compared to competitors’ mixing abilities and mixing times,” Shane stated. Read the rest of the Elliotts story here! In the market for a new vertical mixer? Check out our entire series! Esta entrada fue posteada en Testimonial @es y taggeada Australia @es, Beef @es. Guarda el Enlace permanente. ← Higher Quality Milk Comes from Cleaner Cows!